When Israel Got Away With Attacking America | Have Ye Not Read? God bless the veterans of the USS Liberty, which, on this day in 1967, were attacked by “our closest ally in the Middle East” — the nation of Israel. Israel jammed the communications on the ship so they could not call for help, then proceeded to strafe them by air for hours, hoping to sink the ship and blame it on Egypt as a means of drawing the United States military into the so-called “6-day war” against the Arab states of Syria, Iraq, Jordan, Lebanon and Egypt. Liberty survivors even submitted a war crimes report to the Department of Defense, which has never acknowledged the report to this day, and has adamantly refused to investigate the incident for the past 51 years, in spite of the overwhelming evidence against Israel for this horrific war crime. Congress, likewise, has never investigated even though USS Liberty survivors have called for a Congressional investigations many times. Of a crew of 294 officers and men (including three civilians), the ship suffered 34 men killed in action and 173 wounded in action. Many of those U.S. sailors killed were in life rafts they’d jumped into when they thought the ship was going to sink — the Israelis repeatedly strafed the life rafts killing every escaping sailor in hopes of getting away with the crime by leaving no witnesses. 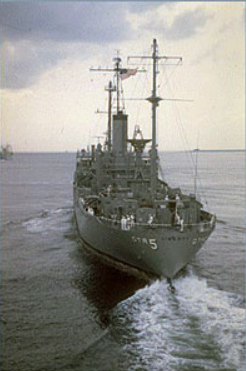 “I have never believed that the attack on the USS Liberty was a case of mistaken identity. That is ridiculous. I have flown over the Atlantic and Pacific oceans, thousands of hours, searching for ships and identifying all types of ships at sea. The Liberty was the ugliest, strangest looking ship in the U.S. Navy. As a communications intelligence ship, it was sprouting every kind of antenna. It looked like a lobster with all those projections moving every which way. Israel knew perfectly well that the ship was American. After all, the Liberty’s American flag and markings were in full view in perfect visibility for the Israeli aircraft that overflew the ship eight times over a period of nearly eight hours prior to the attack. “I am confident that Israel knew the Liberty could intercept radio messages from all parties and potential parties to the ongoing war, then in its fourth day, and that Israel was preparing to seize the Golan Heights from Syria despite President Johnson’s known opposition to such a move. I think they realized that if we learned in advance of their plan, there would be a tremendous amount of negotiating between Tel Aviv and Washington. And I believe Moshe Dayan concluded that he could prevent Washington from becoming aware of what Israel was up to by destroying the primary source of acquiring that information the USS Liberty. That’s your wonderful United States government, folks. Remember when Trump promised if he was elected he’d immediately release the secret 28 pages of the so-called “9-11 Report,” and we’d learn through that who really attacked our nation on September 11, 2001? Well, it never happened, any more than our brave leaders (sarcasm) would tell the truth about Israel’s attack on the USS Liberty. Read into that whatever you will. I know who did both. And I despise them for it. “God’s chosen people”? Gimmee a break. Christians are God’s chosen people, not Christ-haters. Learn more by reading the Bible study, People of the Curse.